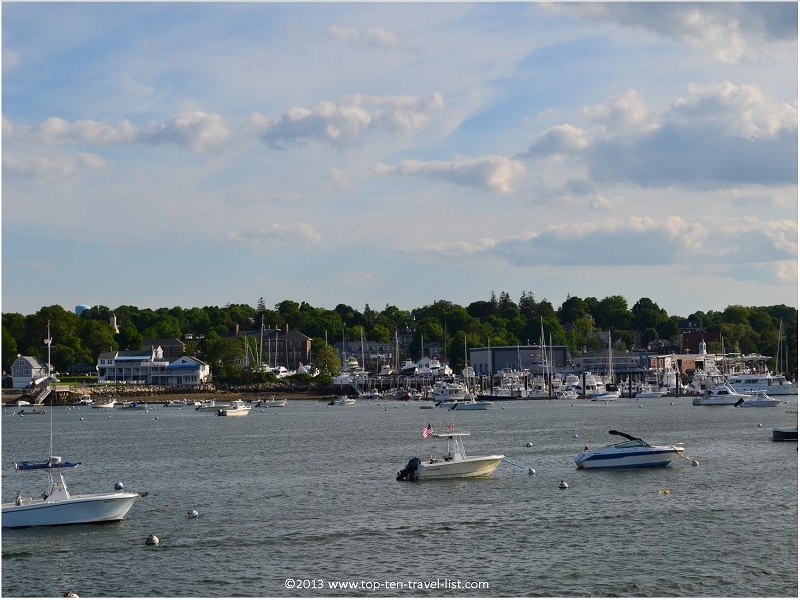 3 Days in Plymouth, Massachusetts - Top Ten Travel Blog | Our experiences traveling throughout the US. Plymouth, Massachusetts is a wonderful waterfront city, well-known for its’ many historical, cultural, and entertainment offerings. 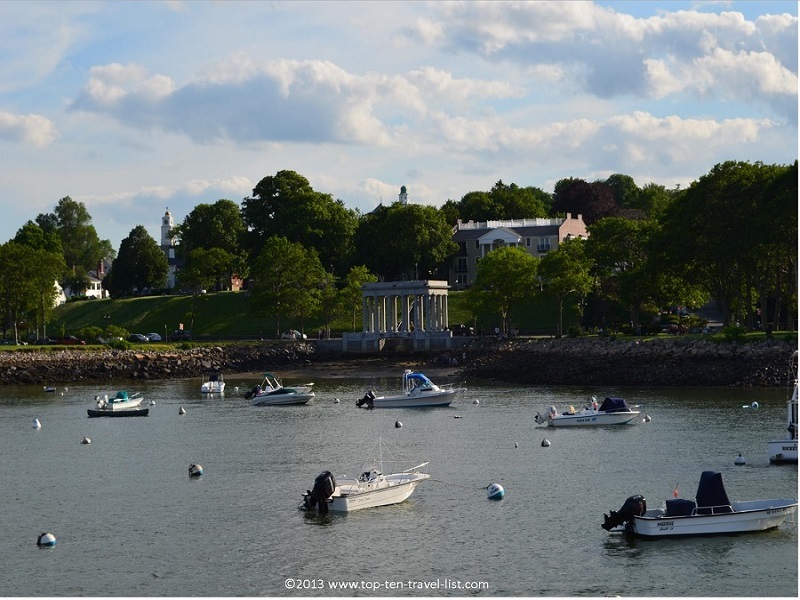 The picturesque New England waterfront city is one of the most visited East coast cities, primarily famous for being home to Pilgrim Memorial State Park, one of the most visited national parks in the US, and home to Plymouth Rock and the Mayflower II replica. In addition, many other historical landmarks such as Burial Hill and the National Monument to Our Forefathers can be found here. Aside from many historical sights, Plymouth offers a vibrant downtown and waterfront district, filled with interesting shops, scenic dining choices, and great tourist attractions. When planning your trip to Plymouth, be sure to take into account all the wonderfully diverse attractions found within the city. 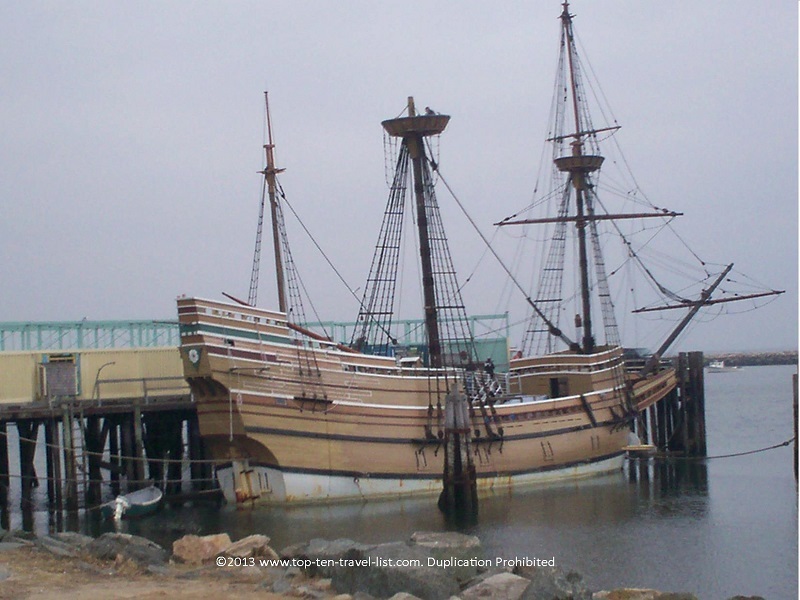 Below is a sample 3 day itinerary for your Plymouth vacation. 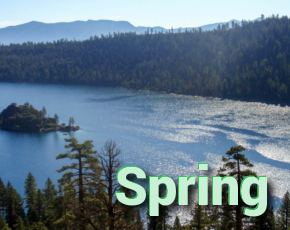 I have tried to incorporate several historical, natural, and fun attractions into the schedule. Of course, there are many more wonderful attractions to enjoy in this great town. Feel free to add some suggestions of your own in the comments below. 4:00pm – Check into your Plymouth hotel. You will find an assortment of options in town, including: cozy bed and breakfasts, historic inns, and standard chains. To get the most out of your visit, including convenient access to most attractions, consider booking a stay with the John Carver Inn. The inn is conveniently located within walking distance to most great attractions and home to many great amenities, including: an indoor pool, on-site restaurants, and a full service spa. 6:00pm – Enjoy an excellent, authentic Italian dinner at Mamma Mia’s, a fantastic local chain with several locations throughout the Southeast Massachusetts region. 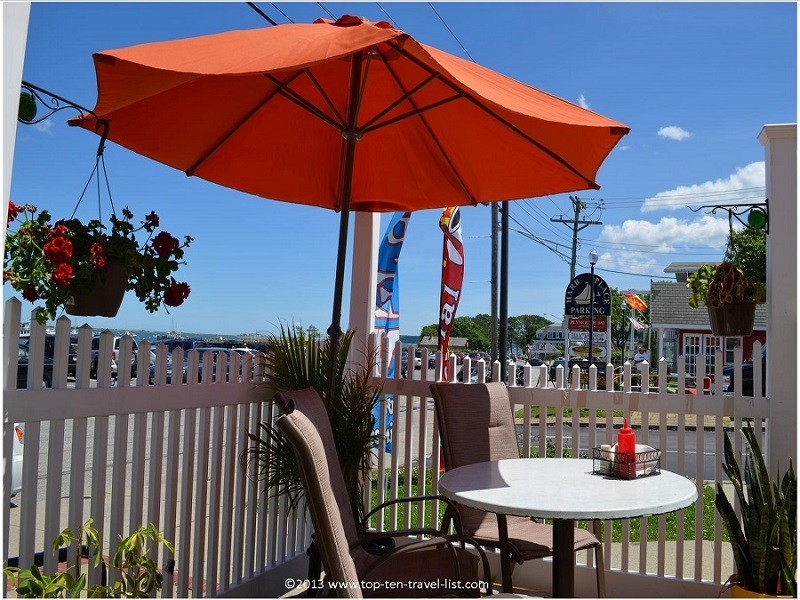 The Plymouth location offers the best setting: an outdoor patio with spectacular views of the waterfront (if your visit happens to fall during the nice season, be sure to ask to sit outside). Aside from the views, the food is always excellent. Plenty of traditional favorites and Mamma Mia’s specialties are found on the menu (and gluten-free choices too!). This cozy, local Italian restaurant is one of my favorites in Massachusetts. 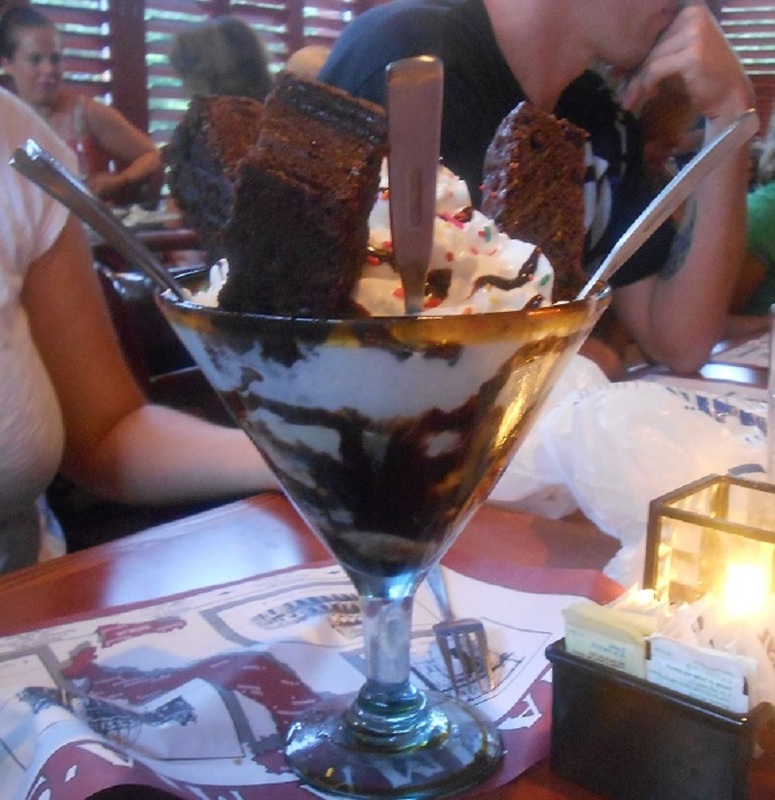 Check out the size of this enormous brownie/sundae. This may be the biggest dessert I have ever seen! 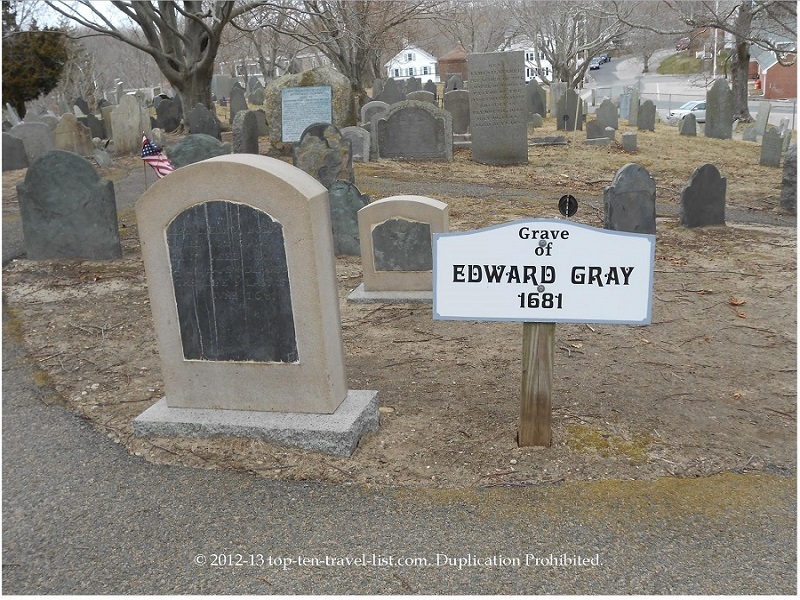 8:00am – Take a historic haunted ghost tour with Plymouth Night Tour. A fun time for history buffs, those interested in the paranormal, and anyone looking for something fun to do during the Halloween season. Don’t worry if your visit doesn’t fall during October: the tours run year round! If you have ever wanted to try out real ghost hunting equipment, here’s your chance! Be ready for a fun-filled night listening to ghost stories, using EMF meters, and exploring Plymouth’s oldest and most haunted sites. 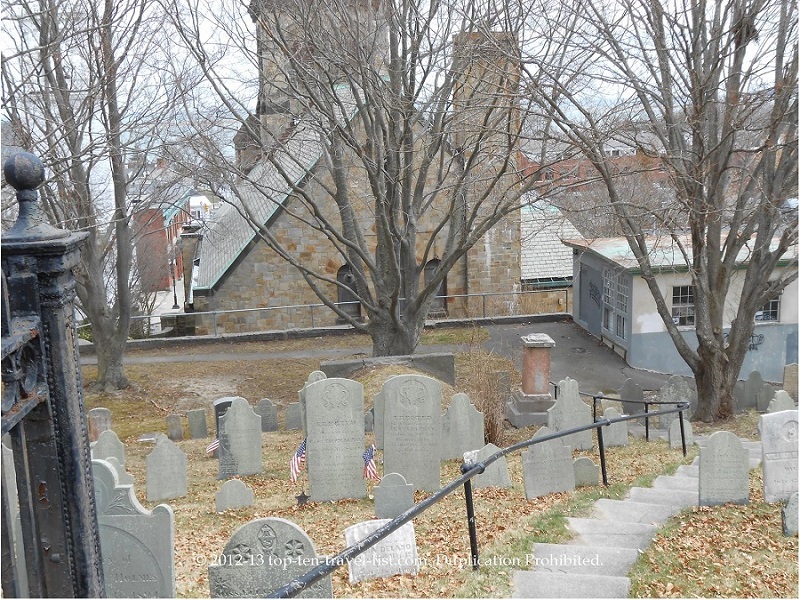 During this tour, you will have the opportunity to test out your ghost hunting equipment at old sites like Burial Hill Cemetery, believed to be one of the most haunted places in the US. Note: You will want to meet up for the tour about a half hour in advance. 7:00am – Stop by for a delicious cup of freshly brewed organic coffee and a treat at Blue Blinds Bakery, conveniently located in Plymouth’s historic downtown. A fresh cup of your morning favorite in Blue Blind’s cozy setting is the perfect way to start off your day. 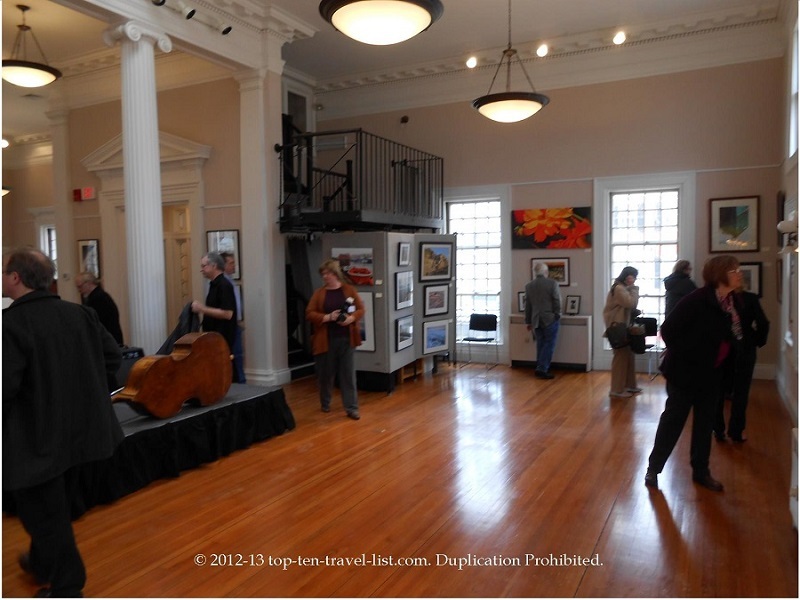 8:00am – Explore Plymouth’s small, yet attractive collection, at Plymouth Center for the Arts. It’s a small museum, yet a great way to experience some local culture. 9:00am – Take a stroll along Plymouth’s beautiful waterfront before the afternoons crowds start arriving (if your visit falls during the cooler winter months, you should no problem with any crowds!). 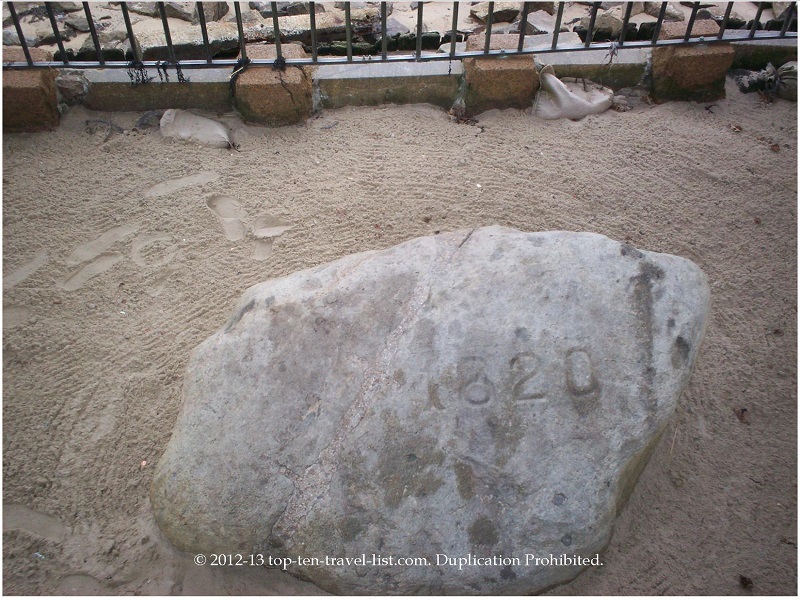 There are beautiful beaches to explore and historical sights to photograph (Plymouth Rock and the Mayflower). 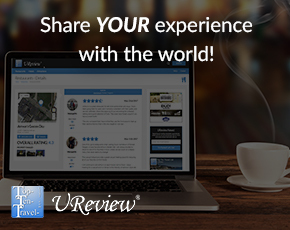 If you are into photography, this is a great place to capture a few nice waterfront landscapes. 10:00am – Enjoy an early lunch at Wood’s Seafood, an excellent local seafood restaurant with an attractive location on the waterfront. Fresh local lobster, beautiful waterfront views, and a casual setting make it the perfect pre-cruise option. No visit to Massachusetts would be complete without enjoying a local seafood dish, and Wood’s is as great a choice as any for any seafood lover! 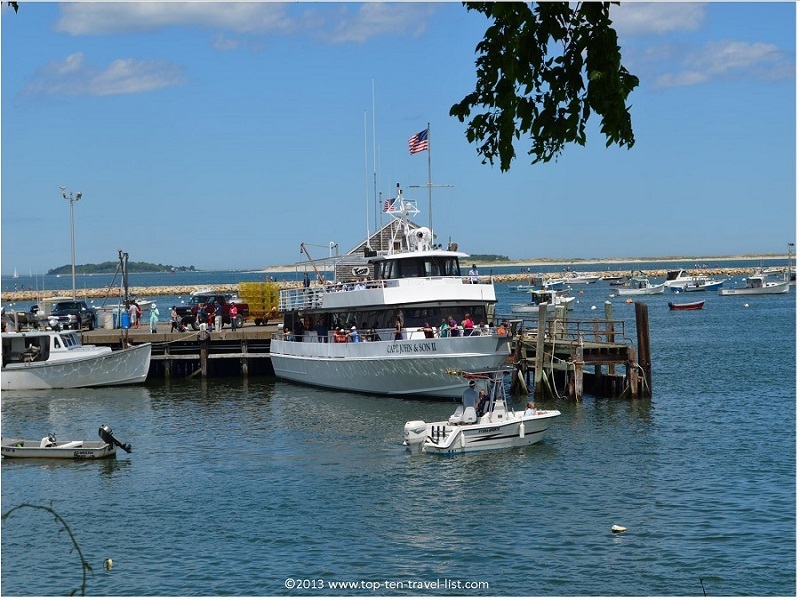 Noon– Take a morning whale watching cruise with Captain John’s, one of the best places in Massachusetts for whale watching. Not only is the setting fantastic, but they also guarantee sightings, meaning if you do not see a whale, your next visit is complimentary! Everything about this cruise if fantastic. The narrated tour is interesting and entertaining: you will not fall asleep as is the case in many tours. You will likely see several whales, and possibly some dolphins too! 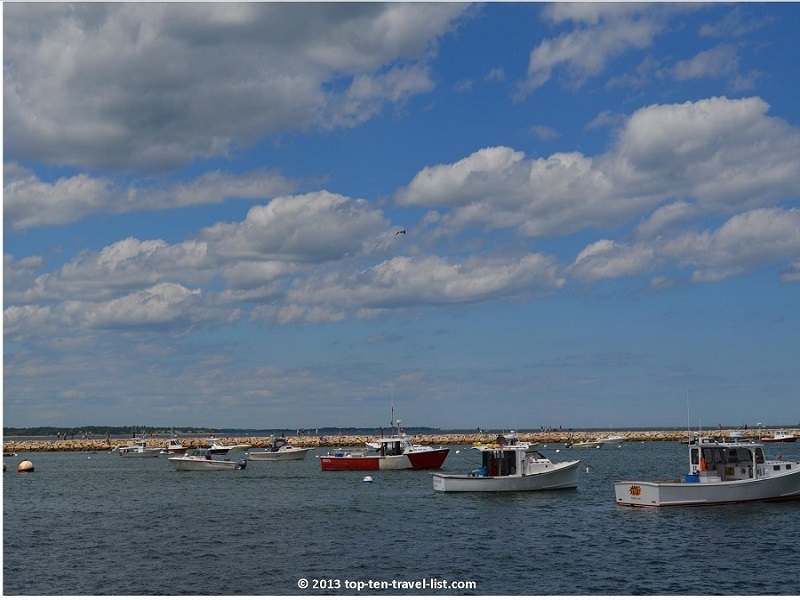 The views as you arrive back into Plymouth Harbor are simply stunning! Winter alternative: If your visit falls outside of whale watching season, you can visit an indoor attraction like the Pilgrim Hall Museum, the oldest operating museum in the country. 4:00pm – Head over to your hotel for a bit of rest and relaxation before heading out to dinner. Your whale watching adventure is a fun, yet long and often cold journey. Take some time to rejuvenate and warm up in your hotel hot tub! 6:00pm – Enjoy a great dinner at Carmen’s Cafe Nicole, an eclectic restaurant serving an interesting array of American, Mexican, and Seafood dishes. If the weather is nice enough, be sure to enjoy the cozy outdoor patio, featuring relaxing views of the waterfront. 8:00pm – Take a relaxing stroll around downtown Plymouth. You will find various events going on throughout the year. A nice selection of pubs and wine bars to choose from (check out New World Brewery) will keep you busy all night. 8:00am – Get up early and enjoy a self guided historical tour of Plymouth (if you prefer, you can sign up for a tour through local businesses such as The Jenney Museum). 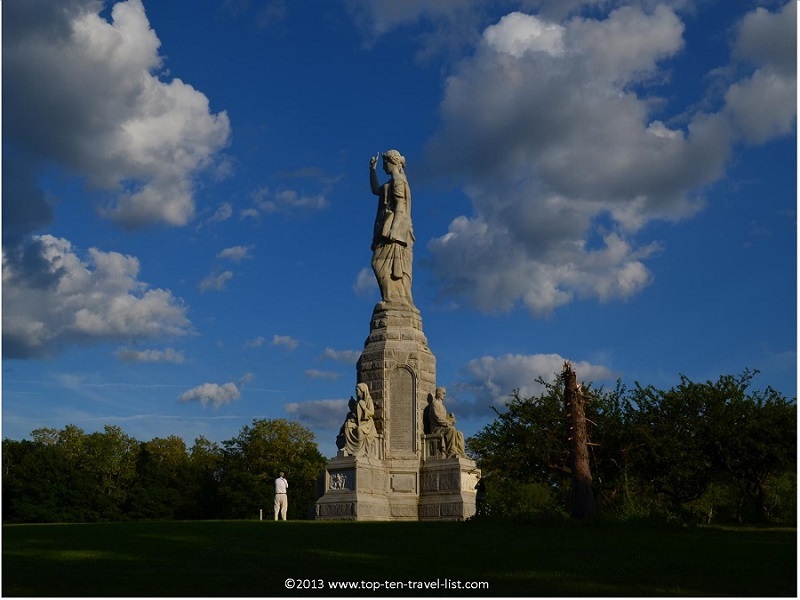 There are many interesting and magnificent sights to take in, including: Burial Hill, Old Parish Church, and the National Monument to our Forefathers. 11:00am – Enjoy a healthy, home cooked brunch at Persy’s Place, featuring New England’s largest breakfast menu. A rusty country setting, friendly service, and an enormous menu complete with every breakfast food imaginable make Persy’s a local and tourist favorite. The Harvest Quiche (pictured below) is a must try! 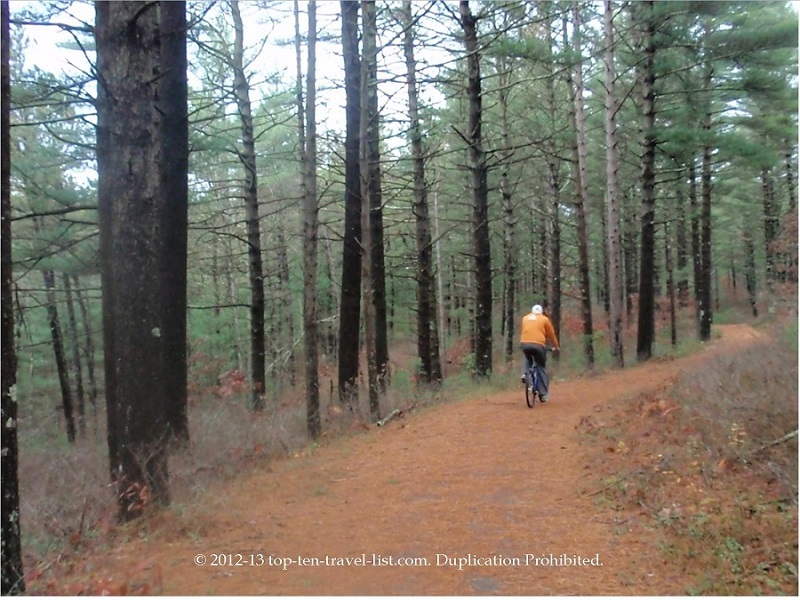 1:00pm – Head over to Myles Standish State Forest, the largest recreation area in Southeast Massachusetts, for a fun afternoon of hiking or biking the park’s trails. This gorgeous, quiet, underrated park provides a spectacular setting for photography, particularly during the beautiful fall season. The park is just as stunning during the winter when covered with fluffy white snow (snowshoeing and cross country skiing is a scenic and intense! way to explore the trails). 5:00pm – Head back into town for some souvenir shopping and a treat! Plymouth has its’ share of interesting shops to browse through, many offering unique local creations and souvenirs. Also be sure to stop for a specialty dessert at Charlie’s Cupcakes. Dessert lovers will have a field day choosing amongst the enticing display of specialty cupcakes, available in an assortment of tempting flavors. 7:00pm – Choose another waterfront restaurant for dinner – you won’t ever get sick of the tremendous views! Plymouth has so many great waterfront restaurants. Anna’s Haborside Grill is one fantastic choice. At Anna’s, Greek and American favorites are served in a casual, waterfront setting. Enjoy your last night with some great food and great views! 9:00pm – Head back to your hotel and pack up everything so you are ready to go in the morning. This will give you time to enjoy a final breakfast and walk around the waterfront before checking out of your hotel the next morning. No need to waste time in the morning organizing. Spend your last few hours enjoying the gorgeous New England setting! John Carver Inn – 25 Summer St, Plymouth, MA 02360. Visit the John Carver Inn website to make your reservations. Mamma Mia’s – 122 Water St Plymouth, MA 02360. Plymouth Night Tour – 120 Water St, Plymouth, MA 02360. Tours are $15 per person. Visit the Plymouth Ghost Tours website to book your tour. Blue Blinds Bakery – 7 North St, Plymouth, MA 02360 (closed on Saturdays). Plymouth Center for the Arts – 11 North St, Plymouth, MA 02360. Open daily from 10am-4pm except Sunday (noon-4pm). Pilgrim Memorial State Park/waterfront area – Water Street Plymouth MA 02360. 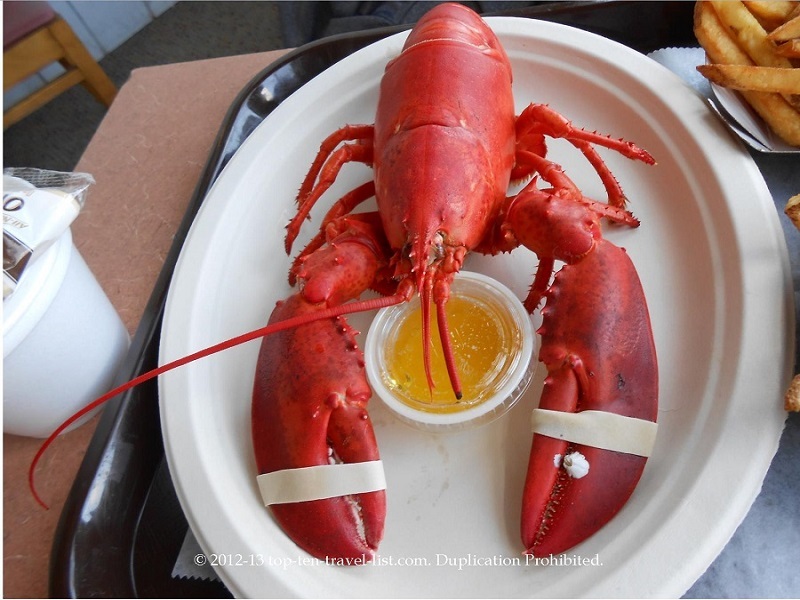 Wood’s Seafood – 15 Town Wharf, Plymouth, MA 02360. 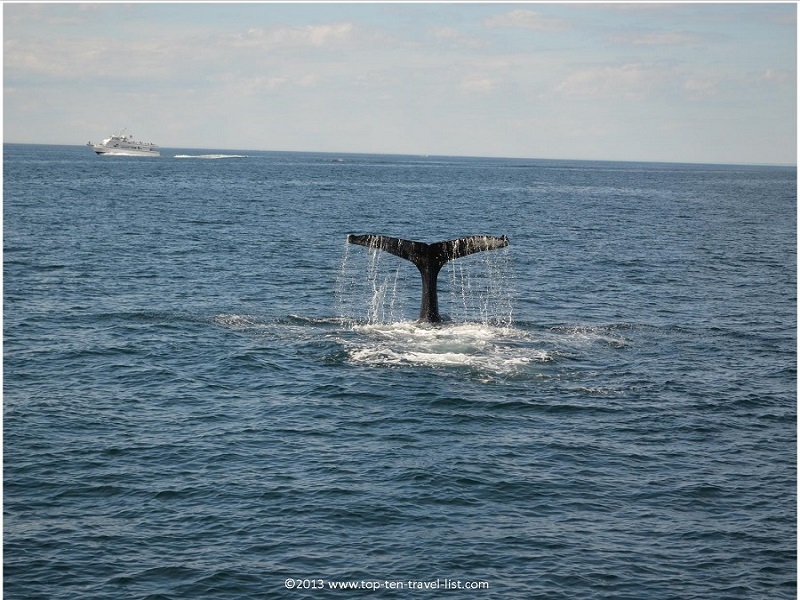 Captain John’s Whale Watching – 10 Town Wharf, Plymouth, MA 02360. The season usually runs from the beginning of May until the end of September. 9am, Noon, and 2pm tours are available, depending upon the month. Prices are $47 per adult, and $29 for children (4-12). Pilgrim Hall Museum – 75 Court St, Plymouth, MA 02360. Open daily from 9:30am-4:30pm (closed Christmas, New Year’s, and the month of January). Carmen’s Cafe Nicole – 114 Water St, Plymouth, MA 02360. 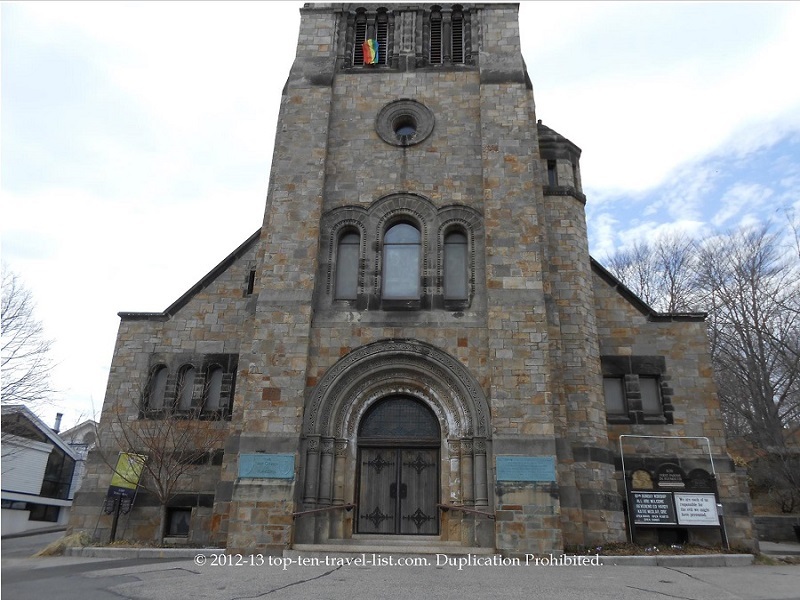 Downtown Plymouth – Main St, Plymouth, MA 02360. Jenney Museum historical walking tours – 48 Summer St, Plymouth, MA 02360. Call 508-747-4544 to make a tour reservation. Times vary based on type of tour/time of year. Visit the Jenney Museum website for details. 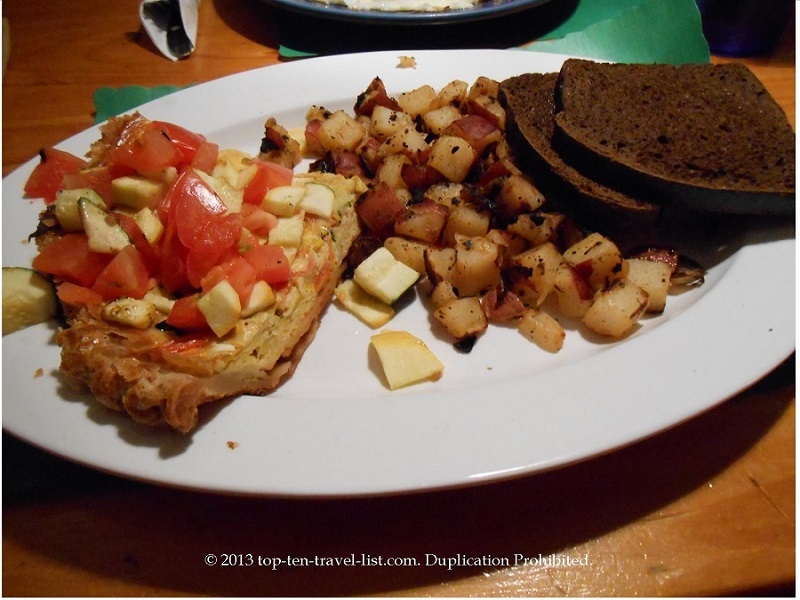 Persy’s Place – 35A Main St, Plymouth, MA 02360. 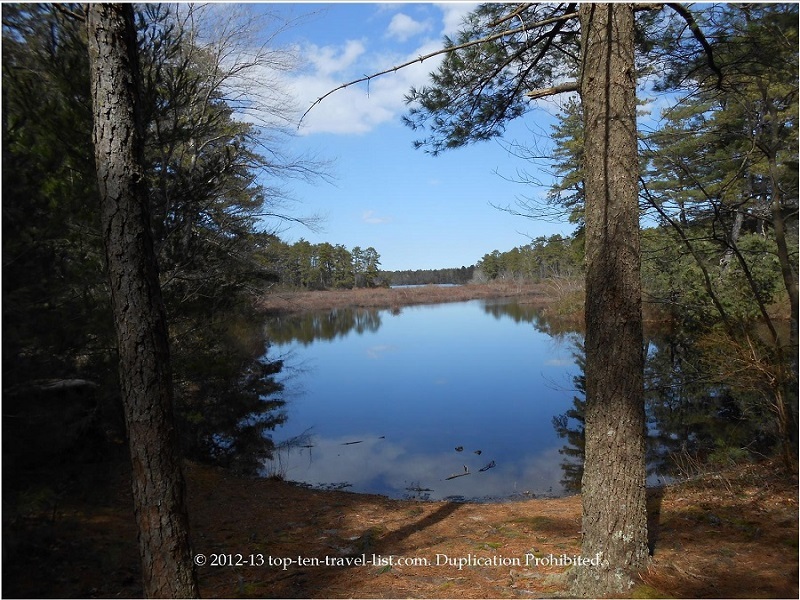 Myles Standish State Forest – 194 Cranberry Rd, Carver, MA 02366. 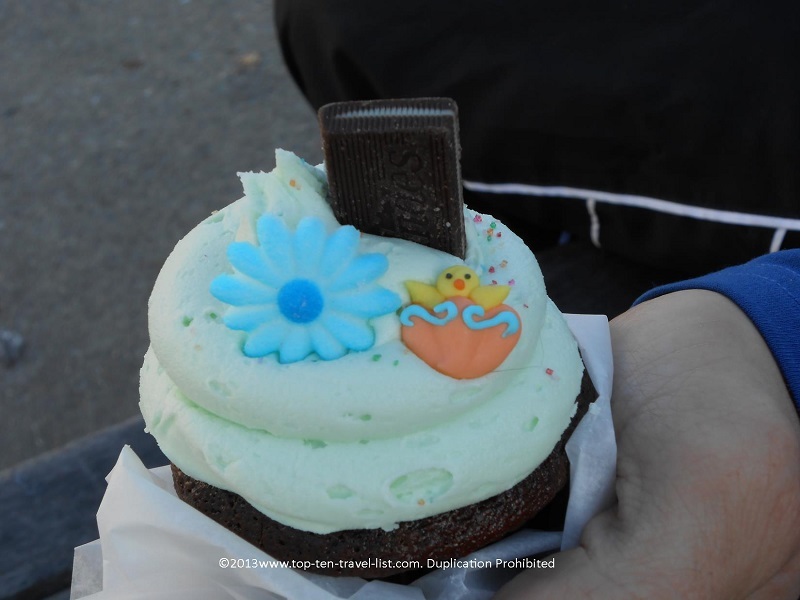 Charlie’s Cupcakes – 6 Town Wharf, Plymouth, MA 02360. Anna’s Harborside Grille – 145 Water St, Plymouth, MA 02360.